Luxury E-Design (or Online Interior Design) is for the client who needs help furnishing and styling their room(s) and wishes to pull together a beautiful and complete design with the Sara Lynn Brennan touch. The Luxury E-Design client will assist our team by providing us with measurements, so that we can create the perfect design plan and shopping list for you to execute on your own! This service provides you with the tools and resources to access our design team from wherever you are! We'll schedule a 30 Minute "Discovery Call" to really learn about the scope of your project, budget and the direction you'd like to go. During this call we'll also discuss your vision for the space and how you need it to function. Then, we'll assign you a "Checklist" of items we need you to provide us to get started (measurements, inspiration images, etc.). Then, over the span of the next 6-8 weeks our designers will work on your project and eventually provide you with a comprehensive design plan, so that you know exactly where to place everything. Our team will also create a "Shopping List" of suggested furnishings for you based on your design questionnaire, desires, style, and budget so that you can fully execute our design plan. After the design is completed, you will receive a clear and comprehensive "E-Design Package" that shows you exactly how to tie it all together. You may choose the pace at which you purchase and update your space, but all the details will be there for you to access whenever you need them. 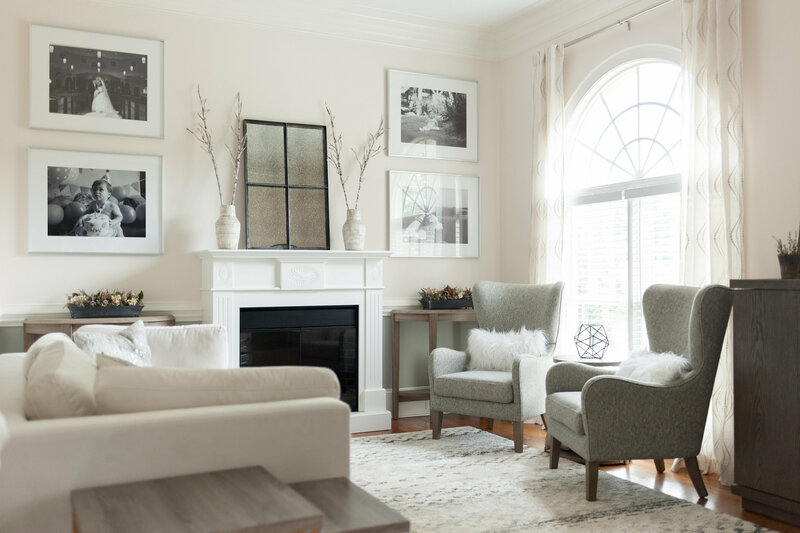 Wait 6-8 weeks for our Sara Lynn Brennan Interiors team to work their magic to create you a beautiful and practical space where "Real Life Meets Design"!